Designed for small children who love cute and cuddly animals and creatures. Bears, Hippos, monkeys, and pandas, and more! 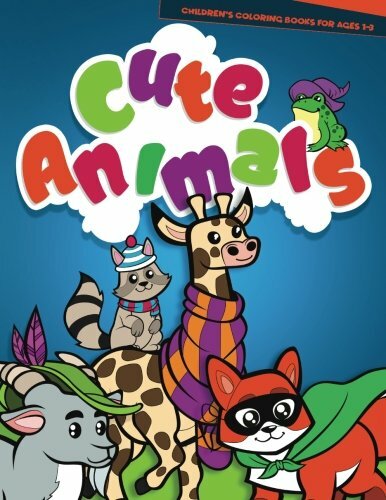 This cute animal coloring book includes two full sets of the 50 line art designs, for a total of 100 pages to paint in. Single-sided coloring pages, each and every illustration is printed on a black-backed page to cut back bleed-through. Two copies of each image lets your child enjoy coloring their favorite drawings a second time, color with a friend, or color with mommy or daddy. Hope your child likes this book!